The right solution for every staircase! Are you unsteady when walking? Climbing stairs in particular is a big problem for you? Are you suddenly dependent on a wheelchair due to a change in your life situation? That doesn’t mean you need to move house or to move to another town! If steps have become an insurmountable obstacle for you, there is a solution for a barrier-free home: stairs can be overcome without effort and without having to rely on the help of others with the inclined and vertical lifts from LIPPE Lift. Coping with everyday life in your own house or apartment despite a physical handicap means quality of life, zest for life and independence. The platform stair lift transports wheelchair users comfortably and safely to every floor. 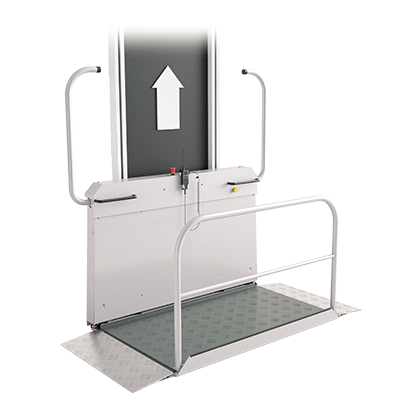 The vertical platform lift is suitable for low heights and transports people vertically. A chair stair lift transports you safely and comfortably while sitting down. The right solution for every flight of stairs! LIPPE Lift GmbH is a highly specialised manufacturer of platform stair lifts that are used both inside and outside buildings, in particular for the transport of wheelchair users. 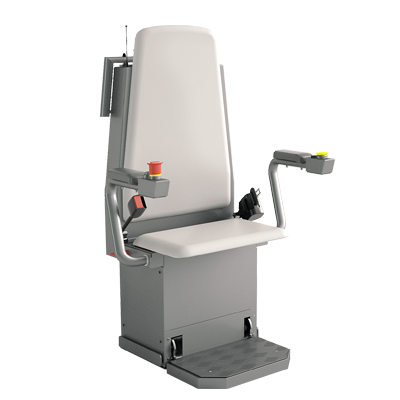 Apart from the platform stair lifts we also manufacture chair stair lifts and vertical platform lifts. Our lifts are manufactured 100% in Germany. Products from LIPPE Lift are highly sought after on the market due to their high quality standards. Our partners in your area! LIPPE Lift cooperates with about 50 partners in Germany and around 30 partners in foreign countries. Your local partner will advise you without obligation and free of charge in order to find the best solution for you and your situation. During an appointment at your home the stairs will be measured exactly in order to be able to furnish you with a precise quotation.